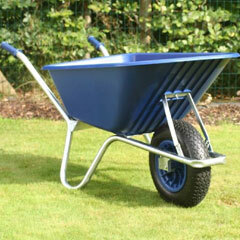 This quality Ambassador Boxed Galvanised Wheelbarrow 80L is lightweight, hard-wearing and easy to clean and maintain. 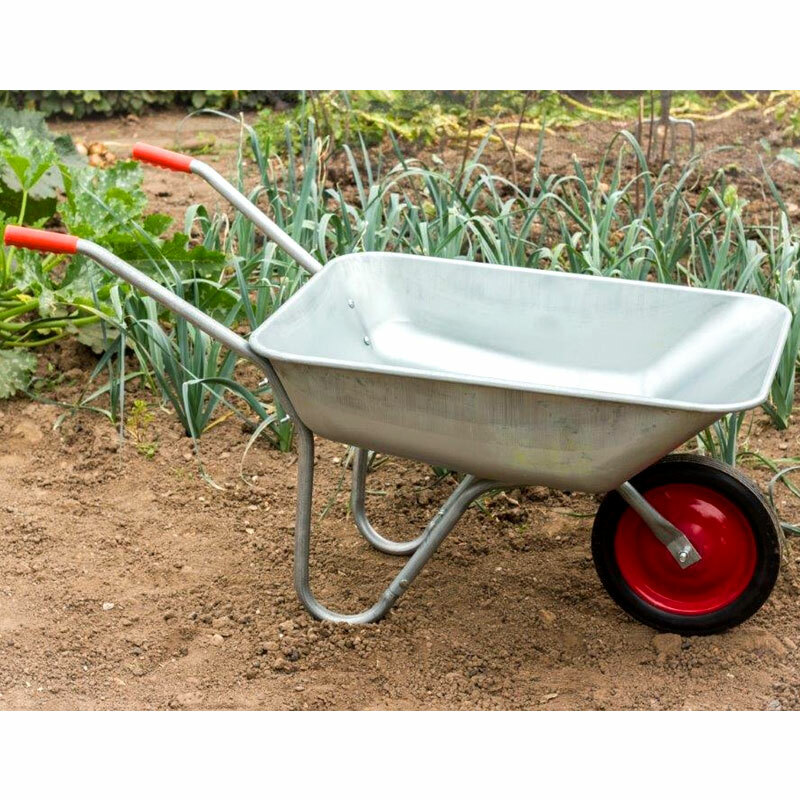 It comes with a tough galvanised steel frame as well as a galvanised tray which makes it ideal for performing all your gardening tasks. 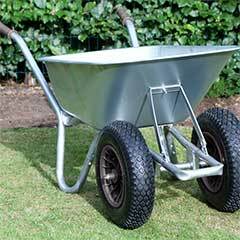 The galvanised steel frame and tray helps to reduce the chance of rust, and makes it easy to keep looking good. 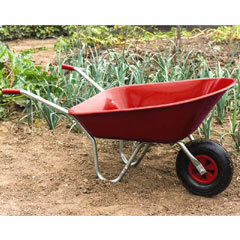 Rubberised handles provide a comfortable and secure grip. 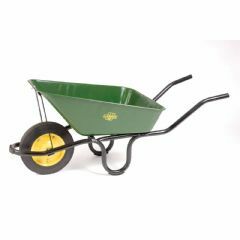 This robust wheelbarrow also features rubberised handles and a large, chunky, pneumatic tyre, which makes this wheelbarrow easy to manoeuvre and control on gravel, soil and even steps. 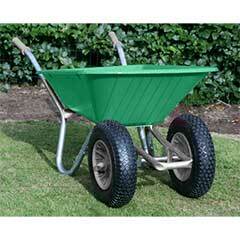 It is perfect for moving large items, tools or stones and generally transporting items around your outdoor area. Customer Note: This product comes flat packed so some simple construction is required. Please do not buy this. It is as robust as having it made from paper-mache and lacks basic things like stability, rigidity and a tyre that doesn't burst. 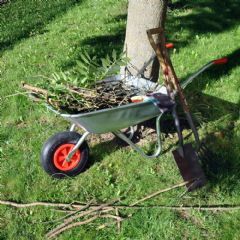 More exactly: - Complicated build instructions - Once assembled it wobbles and the legs move around so it is never stable - very limited torsional rigidity so it moves around in your hands as you wheel across the lawn - While transporting a fairly average load the tyre burst Overall a complete disaster. 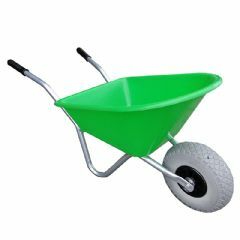 I'd been searching for a wheelbarrow with a solid tyre. From the picture it looked like this was one, but the description didn't say so. I emailed and was told that yes it was a solid, not an inflatable tyre. When it arrived... it had an inflatable tyre.